Pitu Cachaca is a popular Speciality Drinks available from DrinkSupermarket.com in 70cl to buy online. Visit DrinkSupermarket.com for the best price for 70cl of Pitu Cachaca or compare prices on our other Speciality Drinks products. Pitu is a Brazilian spirit fashioned from unblended sugar cane. Only the sugar cane juice from the first pressings is used for export. This juice contains the fresh, natural flavour. A ageing process of several weeks in a wooden vat allows this feel to unfold completely. The superiority achieved in this way forms the ideal basis for a Premium Caipirinha - Cut a lime into eight pieces, place in glass, add 1-2 teaspoons of cane sugar, squeeze out the lime juice with the Pitu pestle, add 6cl of Pitu, fill the glass with crushed ice, stir and enjoy! 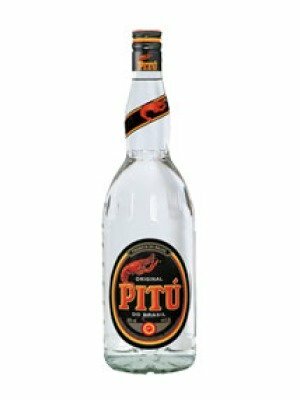 Where to buy Pitu Cachaca ? Pitu Cachaca Supermarkets & Stockists. You can buy Pitu Cachaca online in most retailers and find it in the Speciality Drinks aisle in supermarkets but we found the best deals online for Pitu Cachaca in DrinkSupermarket.com, TheDrinkShop, and others. Compare the current price of Pitu Cachaca in 70cl size in the table of offers below. Simply click on the button to order Pitu Cachaca online now.